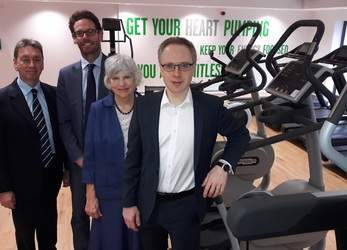 Highbury Leisure Centre’s gym & fitness studio spaces and health suite will be re-opening on Monday 10th December following September’s fire. GLL and Islington Council have been working in partnership to return the facilities to public use within 12 weeks of the serious fire which closed the building on September 25th. The pool hall will be rebuilt, but remains closed while we carry out preparations to allow for planning of this work.